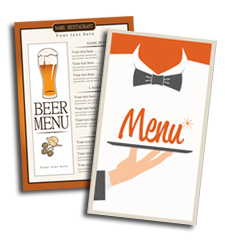 Menu Printing is an essential part of many businesses including Restaurant, Pub, Cafe, Hotel, Tea Room, Bed and Breakfast, Coffee Shop, Sandwich Shop. You may want a new menu designed and printed or you may want a menu themed to create a christmas menu, valentines menu, mothers day menu, halloween menu you can create a menu for many special dates. We offer a range of menus, encapsulated menus, our encapsulated menus are available in sizes A5, A4 and A3 size, your menus can be printed in full colour single sided or double sided and sealed in plastic pockets making them waterproof and long lasting. 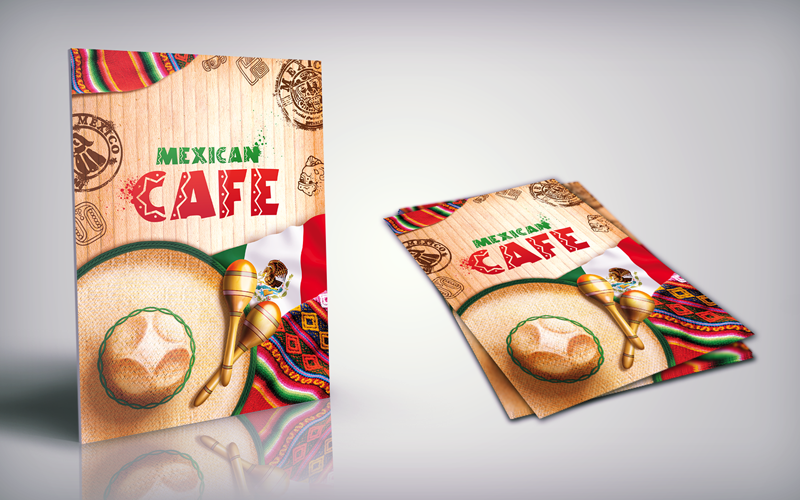 You can have your menus laminated, your menus will be laminated both sides, you can have your laminated menus printed double sided or single sided, your menus can be in A5, A4, A3 sizes. Our laminated menus are also available as 4 page or 6 page menus. For example A3 creased and folded twice to create a 6 page menu. Maybe you require a drinks menu, dessert menu, takeaway menus, whatever you require we can design your menus for you, our prices cost less than you expect, give us a call on 01284 767575 today for a price to design and print your menus. If you have artwork we are happy to print straight from your pdf file.